In September, AEE’s Ohio team met with Secretary of State and Republican nominee for lieutenant governor Jon Husted and Michael Hall, policy director for Republican gubernatorial nominee Mike DeWine, as a part of a series of conversations with the gubernatorial campaigns aimed at raising awareness about the economic benefits associated with the advanced energy industry. Ohio AEE met with candidate DeWine himself in March. Representatives of AEE member businesses operating in or seeking to expand in Ohio outlined how the next governor and lieutenant governor could leverage policy mechanisms and regulatory changes to bring certainty to a contentious energy debate. These improvements would ensure that businesses and consumers reap the economic benefits and cost-savings of investing in advanced energy technologies. Although the advanced energy sector employees 112,000 Ohioans, much more could be done to capture the rapid growth of the industry. 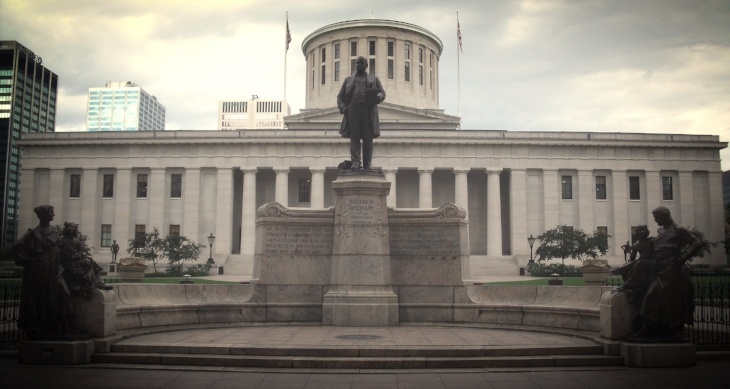 Secretary Husted, who as House Speaker back in 2008 worked to pass SB 221, establishing Ohio’s RPS and EERS benchmarks, said there are questions that Ohio must answer – what is our goal and how do we get there? With that in mind, he urged the businesses to continue engaging in these conversations to help lawmakers take a holistic approach to Ohio’s energy future and the technologies required to reach the ultimate goal. The group encouraged Husted to lift barriers to investment by fixing Ohio’s restrictive wind setback, stabilizing and improving the state’s RPS, strengthening the state’s efficiency programs, and appointing strong PUCO commissioners that will continue building upon the grid modification proceeding, PowerForward, to ensure Ohio’s infrastructure is adequately prepared for technological advancements. To close out the meeting, the businesses participating offered their resources and expertise to assist and advise DeWine and Husted, should they be elected, during the transition and throughout their term.